In the past few years, there has been a rise of facial contouring and rejuvenation procedures done in the United States. Advancements in medical technology have made it possible to lift and contour a face that may look tired or show the signs of aging. Those advancements have led to patients today having more options than ever to consider when they want to restore their youthful look and feel renewed again when looking in the mirror. 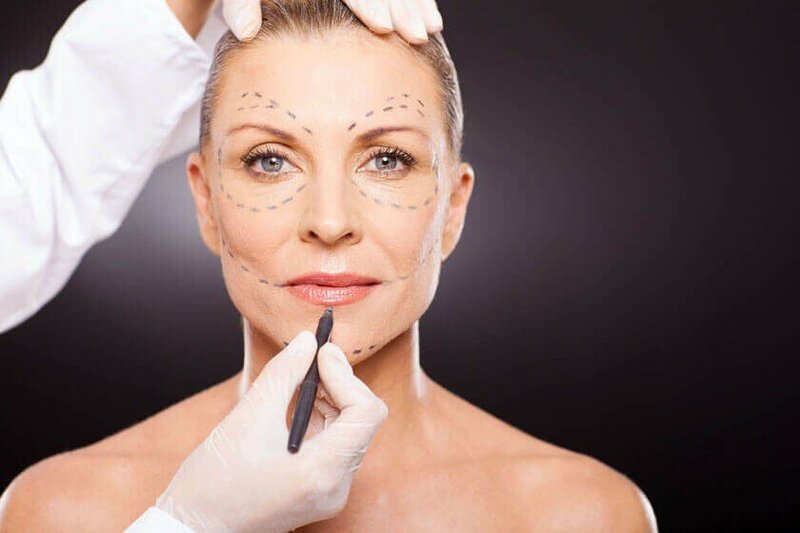 Our professionally trained staff and board-certified plastic surgeons at the Austin-Weston Center of Cosmetic Surgery, serving the Northern Virginia area, can provide several cosmetic facial rejuvenation options so let’s take a look at what may be the right choice for you. The signs of aging effects women and men alike so finding solutions to help individuals “grow old” gracefully have been around for quite some time. Traditional facelift procedures have been performed for over 100 years. With advancements in technology over the last decade, this surgical procedure has been tweaked and improved to reduce the risk of complications in order to give patients longer results with a quicker recovery. In addition, because of new surgical skills and techniques, facelifts today can provide the most natural-looking. Then came the onset of FDA approval for more advanced products that could change the aging face into a more vibrant, healthier looking one without surgery. The “liquid facelift” was born and aesthetic rejuvenation treatments using dermal fillers or BOTOX have become more mainstream and popular allowing individuals to hold off from having a surgical procedure for much longer. The phrase “liquid facelift” was coined because it involves cosmetic facial enhancements or contouring that require no surgery which is the reason for its rise in popularity over the past 15 years. No recovery time, no post surgical care, and the best part is that it can be done over your lunch hour! What areas can a liquid facelift help? Whether a patient wants to rejuvenate a specific area or the entire face, the use of dermal fillers and BOTOX can be customized and tailored to the needs of each person. Dermal fillers, such as the ones offered at the Austin-Weston center in Northern Virginia, like Juvéderm or Restylane, restores the face with volume. They “fill in” the appearance of fine lines or creases throughout the face especially around the mouth area or “laugh lines”. Fillers can also plump up the lips or cheekbones to contour the face in areas that have lost volume due to aging. Another liquid facelift treatment is BOTOX. Whether done by itself or as a partner with a dermal filler, BOTOX is a wrinkle relaxer that smooths out and reduces the appearance of static wrinkles that are present when your face is at rest. Common areas for BOTOX to be applied are around the eyes or Crow’s Feet areas as well as lines or creases in the forehead or brow area. Typical patients that jump into the arena of cosmetic treatments with dermal fillers or BOTOX usually say “why didn’t I do this sooner?”. As we age, especially when we hit our 30’s, our skin begins to change and loose collagen and elasticity so dermal fillers and BOTOX can give instant results to ward off any need for surgical procedures but the results are temporary. Dermal fillers typically last a year to 18 months depending on the area that was treated. BOTOX results typically last 3-4 months. Dermal fillers and BOTOX can take years off a face without the need for surgery, but the only downside is the results are temporary. A facelift, also known as rhytidectomy, is the surgical procedure to remove excess facial skin and to tighten the underlying facial tissue to give patients a more youthful looking, wrinkle-free face. Facelift surgery is widely popular and because there are so many different types of facelifts ranging from a brow lift, mid-facelift, neck lift, and more, our board-certified plastic surgeons at the Austin-Weston center in Northern Virginia can provide several facelift options to customize the procedure in order to target a certain area or the entire face. Eyelid lift to remove excess skin on the upper eyelid area and reduce “bags” under the eyes and surrounding wrinkles around the eyes. Full brow lift or temporal brow lift which removes lines or wrinkles along the forehead or brow area. Temporal brow lift involves smaller incisions made at the temporal area and is less invasive so an option outside of a full brow lift. Mid-face lift is an alternative to a full facelift that can remove excess skin and tighten up the areas around the nose, mouth and cheeks. Lip lift or corner of the mouth lift where both procedures involve a small incision made around the nostrils to reduce the appearance of lips that “sag” or correcting corners of the mouth that droop. Neck lift restores the neck and lower jowl area to remove excess skin and contour the neck for a more youthful appearance. This procedure usually involves some form of liposuction to optimize the end result and is typically done with a full facelift but can be done on its own. Full facelift restores and revitalizes the entire face and neck. A more complex procedure that involves a larger incision made at the hairline usually from ear to ear, it is reserved for patients with advanced signs of aging. Excess skin is removed and tightened to remove wrinkles and refresh the entire face at one time. With medical technology there are now even more variations of a facelift that patients can consider for different options. A mini facelift which is less intense with smaller incisions for patients who have smaller wrinkles or less excess skin to remove. Involves a quicker recovery. Fighting the signs of aging has never been easier with less invasive options for same day temporary results or the more traditional way of surgically restoring a face for more permanent results. Either option takes years off your face and makes you feel more confident. The options to rejuvenate your face are endless and the professional staff and board-certified plastic surgeons at the Austin-Weston Center for Cosmetic Surgery in Northern Virginia can help you decide. Call or schedule your liquid facelift or surgical facelift consultation today!